Kaizer Chiefs may get the first option on AS Togo-Port striker Ayi Hunlede, who caught the eye when he hammered home a scorcher against Mamelodi Sundowns in a Caf Champions League match recently. According to a source, the striker has become the target of number of local clubs who were impressed by his display and have made enquiries about his availability. 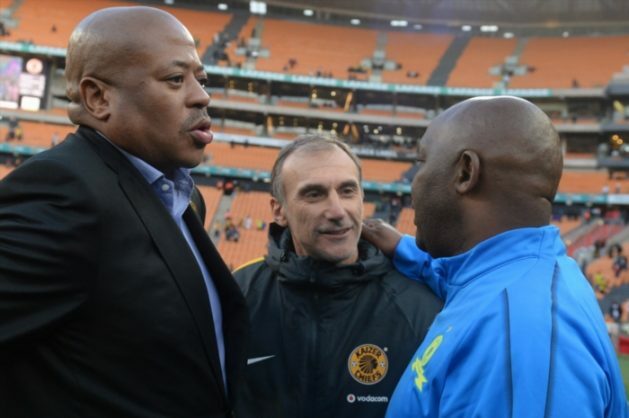 “There have been a few clubs who have asked about him and I know that one of his representatives have also been in contact with Bobby (Chiefs football manager) about a possible move. It is the same guy who is helping Chiefs with the transfer of Godfrey Walusimbi from Gor Mahia,” said the source. If the move to Amakhosi fails, Hunlede could end up at Highlands Park or Chippa United, who are also said to have expressed interest.